There are lots of ways to cook bugs but this is my method. When you get the crawfish, leave them in the bag and just add some ice to the cooler. pull the drain plug and prop the cooler up so water doesn’t pool in the bottom of the cooler when it starts to melt. This will drown the crawfish in the bottom of the bag. 2. Fire that muther up! Turn the gas all the way on the highest setting. 3. It will take a long time to come to boil. Go ahead and add the spices to the water. You can buy spices at the East Nashville Crawfish truck at the Ole Miss Winners on Gallatin Road. I usually do 1 bag of dry spcies and 1 small bottle of liquid boil. Save a cup or two of the dry seasoning for use at the end. 4. While waiting for the water to boil also cut the bug bag open and pour the bugs in an empty cooler. Fill it up with water. Stir for a couple minutes, drain. Fill up again with water and pour a whole box of Morton salt (or Kroger brand) and stir them for a couple minutes. drain, rinse, fill up again and drain. (3 total fills and drains) Pick out any floaters or any that are not moving (they won’t taste very good). 5. Once water starts boiling, add potatoes; cook potatoes for about 15 minutes or until tender; add other mixins: Staples include sausage, corn and mushrooms. Some folks add brussel sprouts, garlic, artichokes, and other random veggies but that just gets expensive if you ask me. 6. 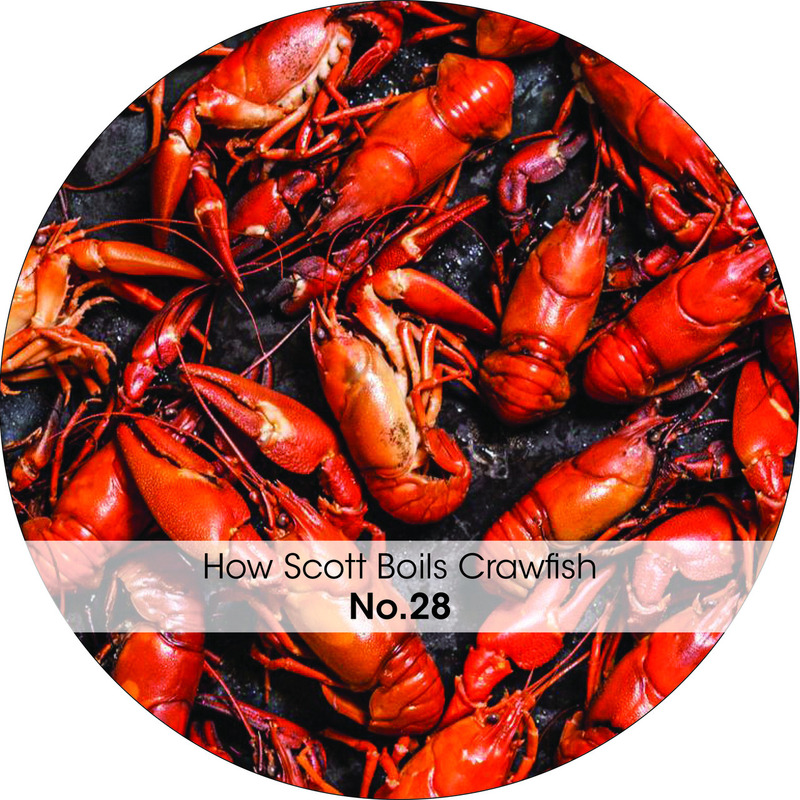 Let mixins come back to a rolling boil and then add freshly cleaned crawfish. You will need help lifting the cooler. Stir. 7. Cover and let water come back to a rolling boil. Let boil for 2 minutes and cut the heat off completely. 8. Stir and let everything soak in the pot for 15 minutes. 9. LIft out basket and let drain over the put for 1 minute (just put 2 pieces of scrap wood underneath the basket between the pot) throw on a table. Remember that dry seasoning you saved in step 3? Sprinkle the dry seasoning over the entire pile of food on the table. PS – Just a little advice based on experience. If you have dogs around, they WILL eat anything dropped and you will have fire diarrhea all over your house that night. Have fun!